It’s no secret that when most adults and kids think of spinach, the first thought that comes to mind is “Blech!”. 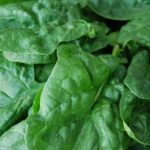 Although the nutritional benefits of spinach are well-known, the thought of including in your list of green smoothie recipes may not sound appealing. 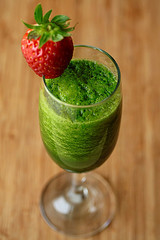 However, making green smoothie recipes with spinach does not have to be a trying ordeal. Spinach is actually a mild, leafy green vegetable, and it will assume the taste of whatever fruits and vegetables you add to it. 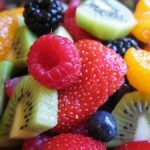 Here is a Spinach and Fruit Salad recipe that you are sure to love! First, the baby spinach should be added to the blended. You can choose whether or not you would like to cut the stems off of the spinach. 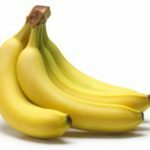 Secondly, the banana should be peeled, smashed well, and added to the blender. Likewise, the pear should be halved and seeded and added to the blender. Next, you should add the berries. In the case of strawberries, you might wish to remove the heads, and it should be noted that raspberries contain small seeds that may not disintegrate entirely during the blending process. In the last step, you should add the 2 cups of purified water. The amount of water that you add should barely cover the top of the fruit. If 2 cups is not enough, you can always add a little more. 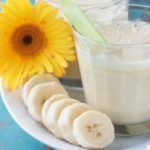 Once all of the ingredients have been added, the blender should be put onto a high setting and allowed to run for 2-3 minutes, or until the smoothie concoction has achieved a creamy consistency. 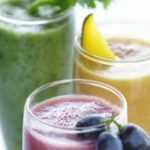 The health benefits of green smoothie recipes are well-known, but you are strongly encouraged to create your own recipes. 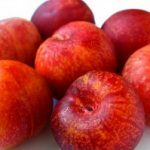 Try experimenting with different fruits and vegetables in this recipe to find the mixture that pleases your taste buds best. 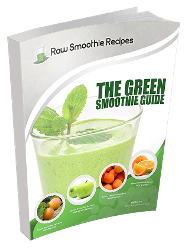 When it comes to green smoothie recipes, there is no right or wrong combination of ingredients.